RUGBY: Brumbies prop Allan Alaalatoa says his side must start quicker against the Blues this week if it is to secure a win in Auckland. 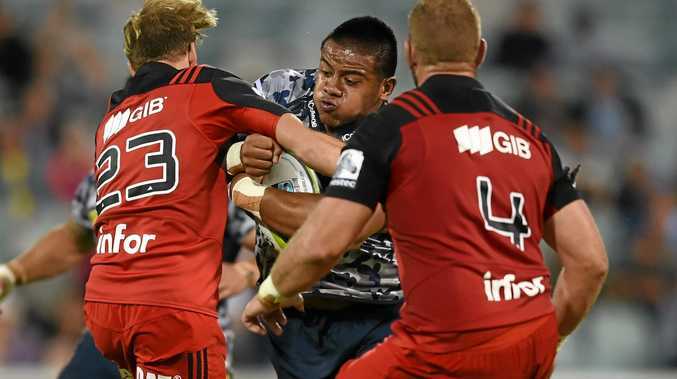 The ACT outfit overcame a slow start to defeat the Reds last week but Alaalatoa said the team was fully aware it could not afford to do the same this week. With two games remaining, the Brumbies are battling with the Waratahs to top the Australian conference and secure a finals berth. Both teams are on 39points with the Brumbies ahead because they have more victories. A bonus-point win would prove crucial with the Tahs also facing a tough task against the Hurricanes on Saturday night. Alaalatoa said that would be good but the victory was the No.1 priority.